Ever since I started tweeting and blogging, I’ve received messages about using certain software, or how expensive a software is, or sometimes threats over my choice of software. It falls on deaf ears; I am independent. 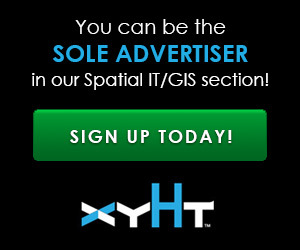 ANY geospatial software, no matter cost or design, is worth considering to some respect. Sure, some may meet your needs better than others, but I can’t abide the bullying. If you, too, have been subjected to trolling — the tirade of tweets, or some n00b with a god complex has given you a hard time because (for example) you chose Saga over QGIS or Grass or Arc or MapInfo or– then please read on. I started using GIS almost two decades ago. I’m not afraid to say that my baptism was all Esri, and for seven years I used a mix of Esri software and MapInfo. You would have thought that I wear an Esri tattoo under my shirt, but no, my last employ was a large company which wouldn’t invest in GIS, and my time was spent providing affordable and cost-effective solutions, so I used open source GIS such as QGIS most of the time. I USED THE TOOLS SUITED TO THE JOB. This is a common argument I get, but it lacks information, so the statement is true … BUT … if you use open source in a company that requires IT support, then you need to have support for your open source software (this is common in government and public sector), and this isn’t cheap. Also, have you ever looked at the cost of buying server space or putting your own web map system in? Suddenly ArcGIS online doesn’t look so bad. This isn’t to necessarily mean that I am pro Esri. This just makes the point that there is more to consider than just which one is the cheapest. Personally, I would look at what products you are providing and what kind of support you need to provide your team and clients before even second guessing what you might need. Let’s look at another example. This is one of my favorites as the troll assumes that they know your industry or what you do in your job. In my day-to-day job I use approximately four GIS. Each has their own niche set of tools that perform and provide answers in different ways. Some are open source and some are proprietary, but they are all the BEST tools for WHAT I DO. I wouldn’t try to make a map in AutoCAD, just as I wouldn’t expect to edit an image in Microsoft Word, so why am I being told not to use “X” when it wasn’t even on my radar? Fair enough, sometimes you might not know what you may need or what might lay ahead. You have options, though, and don’t fear the developers! Again, talking to an independent GIS expert should put you in the right direction, and they (we) are also really good at creating five year and ten year plans. FALSE: you can develop pretty much anything, although how much you can afford and what you intend to do with your developed system is a different thing. Proprietary software often gets developed. You can find hundreds of add-ons and extras for ArcGIS, MapInfo, and CADCorp, and you can also get “bridge” software that allows these proprietary software to work with open source systems. Before you go and make your “superGIS,” you need to make sure that you can support it and also that it is legal; often there are licenses in place that prevent you selling adopted software. This doesn’t just apply to proprietary software but can also apply to open source too. Watch licenses and don’t just assume that because it is free you can steal it. Remember, someone—even many people—have given a lot of their free time to develop and create this open source solution. It may be free to use but it might not be free to abuse. So, you can see where I’m going. Fair enough, we are professionals and we get passionate about what we do, but remember, there are new users and confused people out there who need advice as they’re watching these scathing remarks. Don’t be a #geotroll. The same kind of tribal loyalty and obtuse blind fan rationalization gets bandied about for other geo hardware and software, even surveying equipment to football. hard to make an informed decision you are confused and not sure anyway, this is a big decision. Please talk with an independent GIS expert, look for a Chartered Geographer (GIS), or even better, give me a call [ Editor’s note: mild plug there Nick, but we’ll let it slide 😉 ] It could save you a LOT of money and get you the GIS you need, not the GIS that you are bullied into and hate for the next decade (yes, this happens!). Please feel free to tell me about your experiences with trolling. I’d like to hear if you’ve been bullied on the web about GIS software choice OR you have more to say on this (message me privately if you wish).